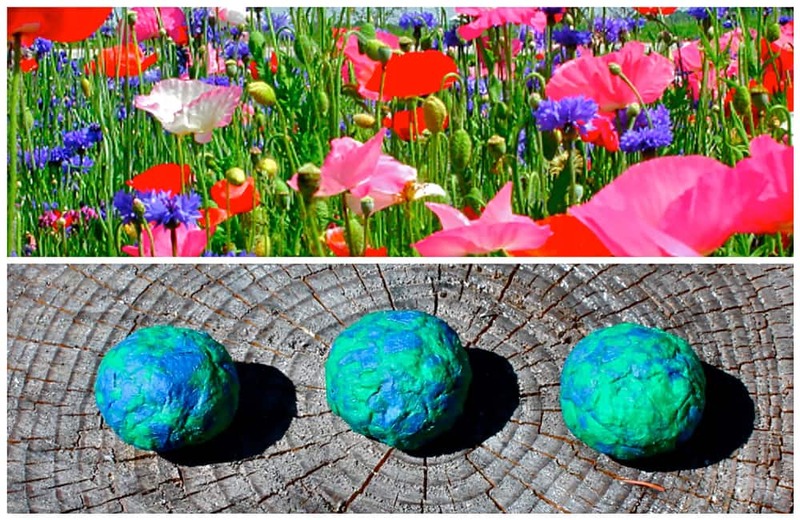 Celebrate Earth Day by creating these beautifying seed bombs resembling our earth. 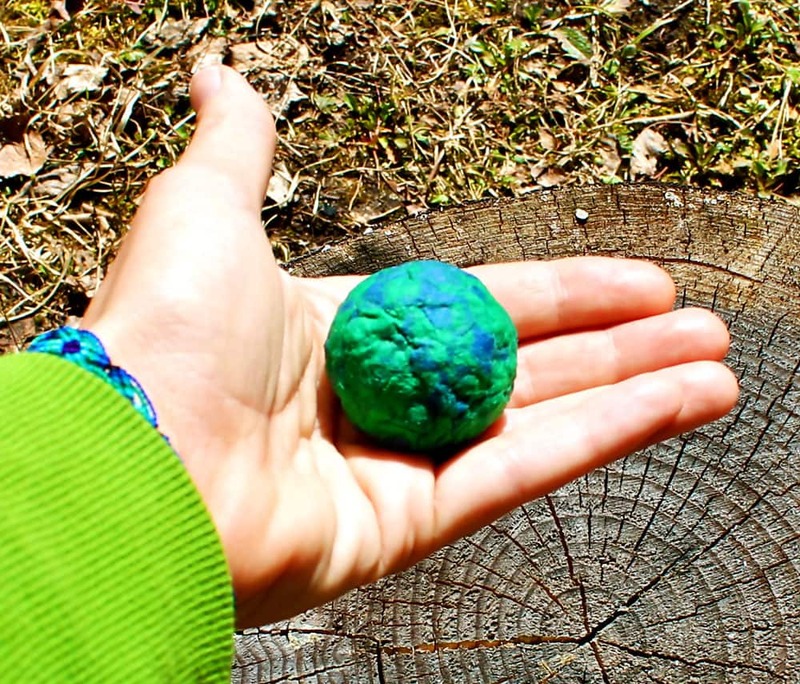 Kids will love making these, planting them and most of all witnessing the miraculous results! 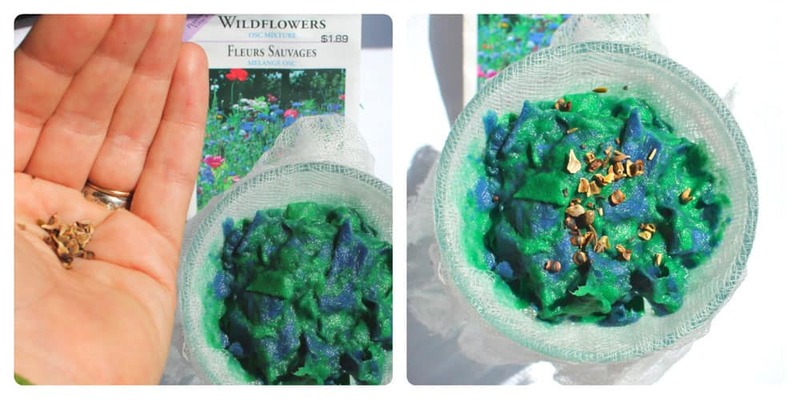 You can use the wildflower seed bombs to spread beauty all over: in your backyard, in places that are looking barren and unkempt or along roadsides. What better way to honour our Earth! 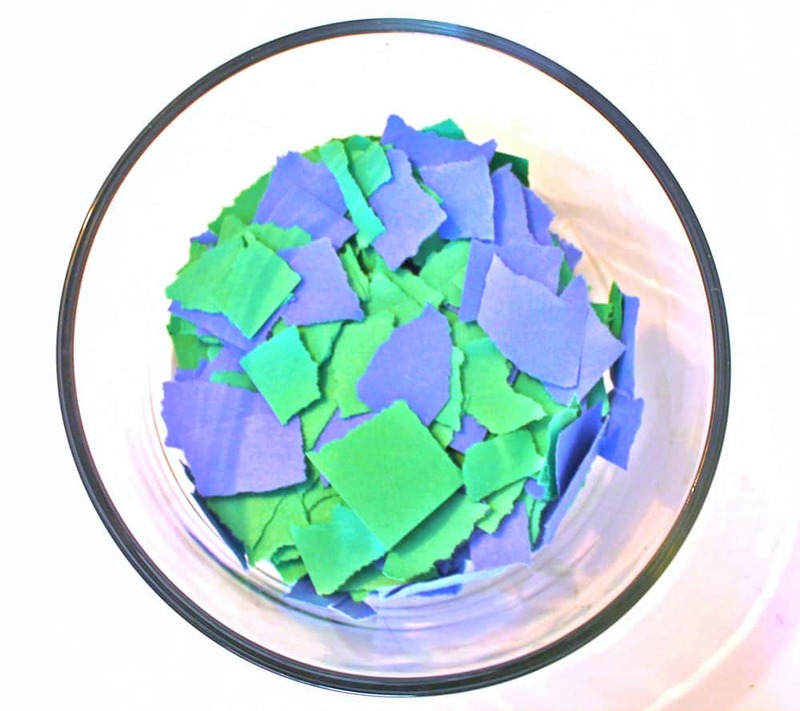 Tear your paper into pieces and place in a bowl. Sure to be a fun job for any little willing hands! 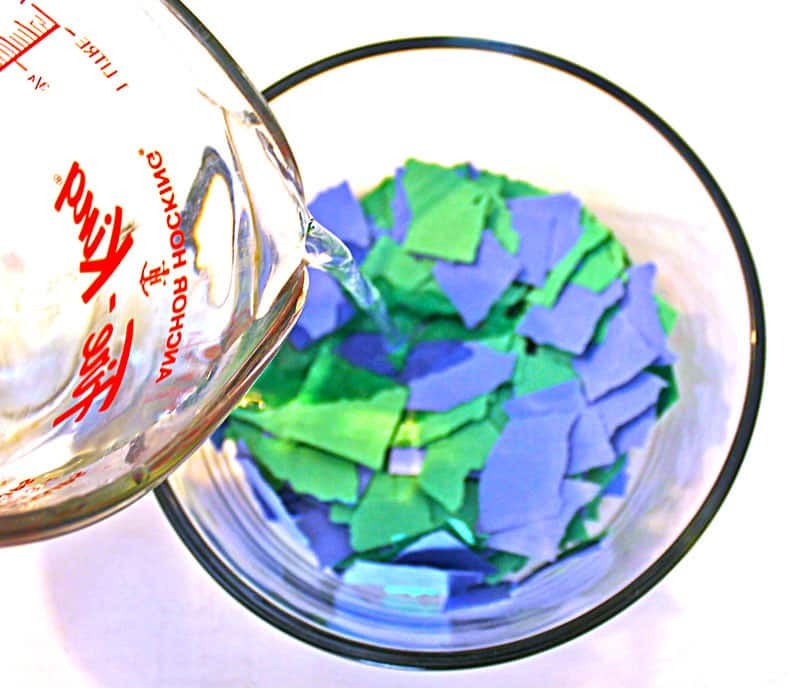 Pour water over your paper bits until the paper is covered. 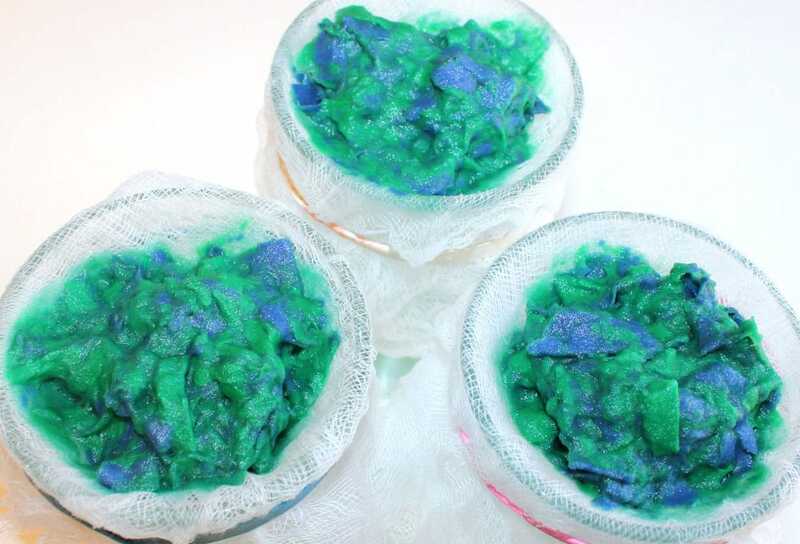 Let your paper soak for 15 to 20 minutes. Add the bowl of water and paper to a food processor and blend. Cut out a square of cheese cloth, lay it over a cup and secure it with an elastic. Pour half of your paper/water pulp into the cheese cloth to begin draining. Sprinkle a small amount of seeds onto the pulp and then pour on the rest of your paper mixture on top. 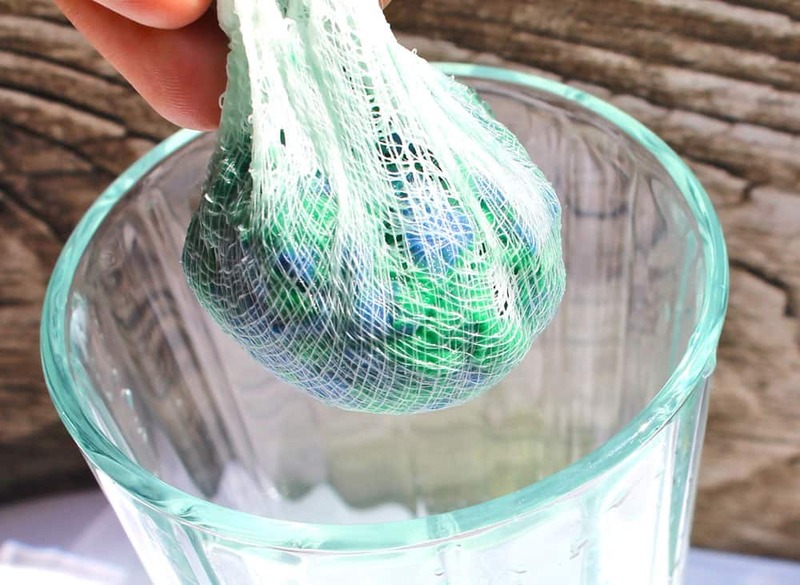 Undo the elastic and give the cheesecloth a squeeze to drain out more of the moisture. Roll them in your hands until they are nice and round. Let your seed bombs dry. Sink your beautiful little bombs in some soil, water them well and then let nature do the rest as they burst into a bright rainbow of flowers!